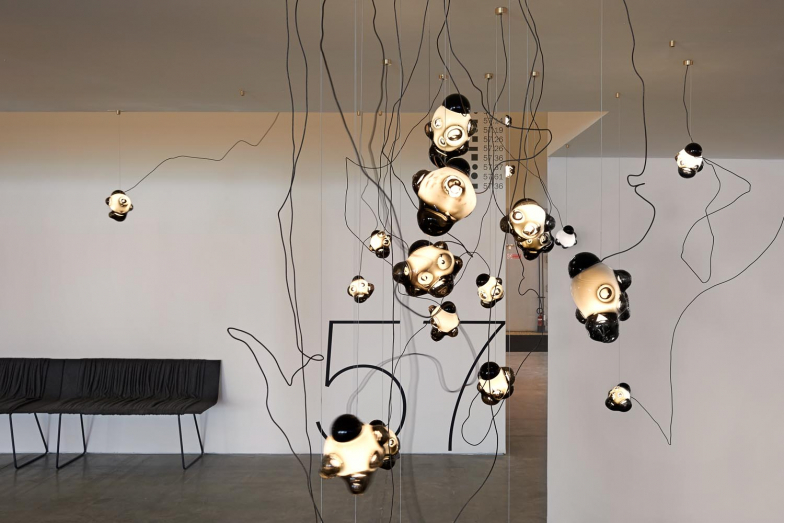 Designed by Omer Arbel, Bocci’s Creative Diretor, 57 is an exploration of a technique of making analogous to that used for producing open cell foam. The process yields a shape loosely referencing a rain cloud with pockets of air that are invisible until the light is turned on, revealing a cloudy interior. Each pendant is a unique piece due to its hand crafted nature as colour depth and tonality varies, this includes even the different characteristics of the interior air pockets. 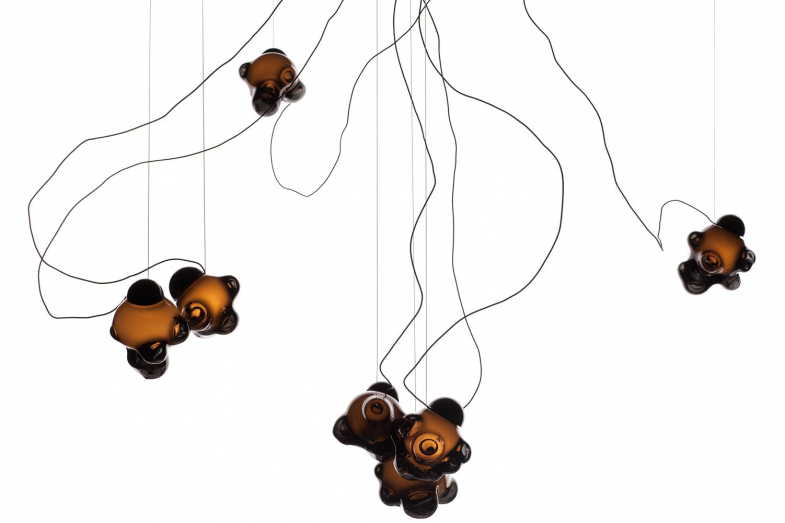 A flexible suspension system allows easy composition: Pendants may be clustered such that they touch each other or as a field. 57 is conceived as a layer or strata of light; a horizontal chandelier.